A blog dedicated to the wide world of herbs and their allies. Living in Central Florida has it's perks (amazing biodiversity, beautiful beaches, easy gardening weather, etc.) but it also has it's drawbacks. The bug population numbers in the top of my annoyances with Florida. This summer is going to be brutal in that aspect, because we didn't have a single winter day cold enough to kill off a decent amount of the pesky little things. Granted, there's still a chance that we could get a good cold snap, but the likelihood that we'll get one cold enough to decimate the pest population is almost zero. This being said, there are ways to keep the bug population in your garden and yard down. One of the best is by inviting bats into your yard. 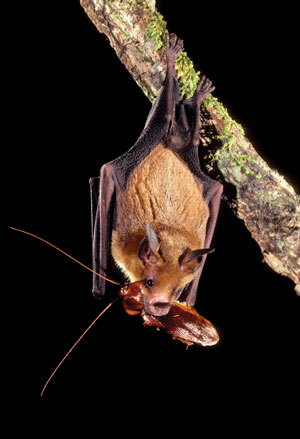 Florida can lay claim to 13 different bat species, all of which are insectivores (they eat mainly bugs). There are also around 7 species that are considered “accidental species,” which means that they do not normally live here, but do visit frequently. The majority of these accidental species are pollinators, which is another amazing reason to invite bats into your yard! Most of these accidentals don't typically reach Central Florida, however. But getting back to the bug eating power of a single bat... according to Bat Conservation International a single little brown bat (Florida is home to it's bigger cousin the big brown bat) can eat up to 60 medium sized moths, or 1000 mosquito sized insects in a single night. That's quite a few less mosquitoes we have to worry about, all thanks to a single little bat. How do you attract bats? Two easy steps. First, build or buy a bat house. This will provide the bats with a relatively safe place to roost. Second, make sure the needs of the bat colony are in your yard. This includes water features (or simply put out a bowl or two of water), night-blooming flowers, and plenty of shade (dead trees are also a plus). Normally I would do a tutorial, giving you a step-by-step of how to craft your own bat house, but I am not a big carpenter and feel that a few other sites have already done a great job of this. So instead of my own instructions, I'll send you to a couple of my favorite DIY bat houses. DIY Network has a great tutorial for building a Cedar Bat House that is super cheap, relatively easy to complete, and can house up to 50 brown bats once completed. Bat Conservation International has a great tutorial for building a bat house along with modifications to make it larger for bigger colonies. The National Wildlife Federation's Garden for Wildlife campaign published a great, easy tutorial on building a bat house. This one goes over how to properly place your bat house once finished. Morning chores has a list of amazing bat house tutorials you should check out for ideas if you are wanting to try your hand at building one. 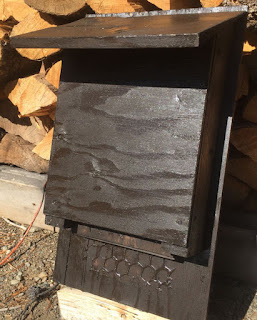 If you are like me and not much into carpentry (though my husband and I do occasionally give it a try), here are a few good bat houses to purchase. Here's a good, top of the line, bat house that blends well with trees. It's also endorsed by the Organization for Bat Conservation, however it's a bit on the pricey side. This bat house is a bit more affordable, but it's recommended to paint it darker to attract more bats. Here's a large bat house that can house up to 300 bats. 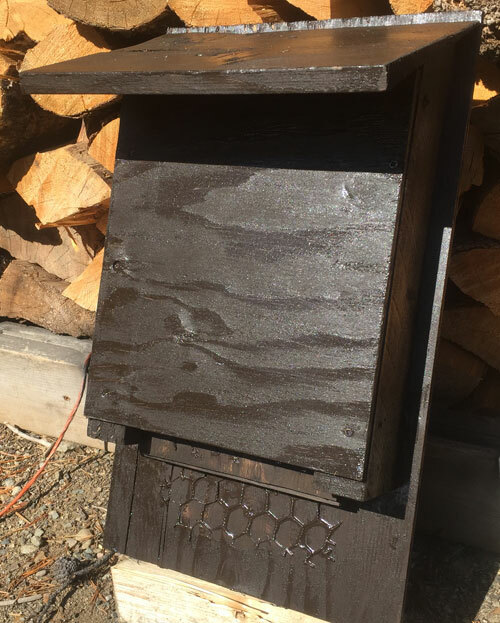 If you want to purchase a bat house and make it more attractive to bats, you can either paint it a dark color or glue bark onto the exterior of the house. Some companies offer pheromone sprays to help attract bats, I have not personally used these and am unsure as to their possible effectiveness. If you have experience with these sprays, please leave me a comment below. I hope you all enjoy making or assembling your bat houses! If you have any questions, feel free to post them in the comments below! Greetings from the Bat Lady! I am an herbalist, musician, wife, and bat enthusiast. I am a fairly eclectic individual who celebrates her own, as well as other's, differences. My interests are widely varied and that is what makes me unique. Instrument of the Week! Conga!